Many of my best selling designs are based on rectangles. 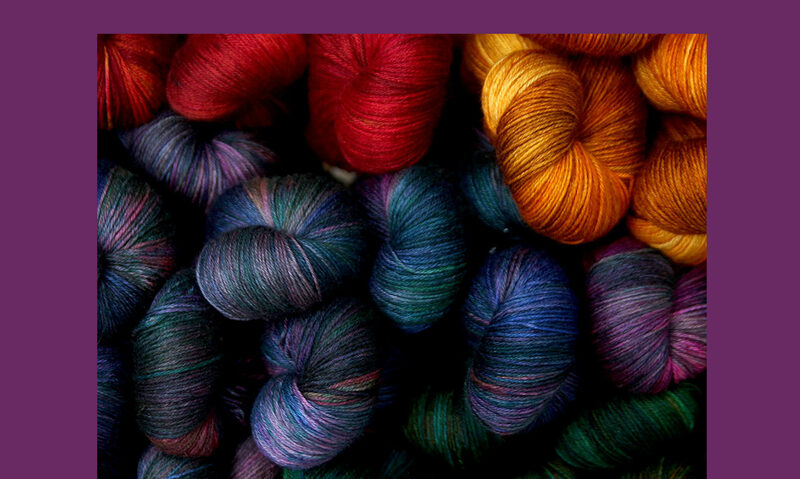 In 30 days you will have 30 ideas to knit designs that you can sell, wear or give away and have fun learning your machine better at the same time. Any knitting machine owner can join because you are able to knit rectangles on your machine. I like to try out patterns and then find ways to use my samples so rectangles are a great way to test yarn, patterns and gauge and have great ways to use the ones that pass your inspection. Machine Knitting Success is under construction–new site available soon. For information and get started experiencing success with your knitting machine there will be a members site and lessons soon. Being happy with your knitting is the goal. Making your perfect sweater tips. When you are measuring yourself pull the measure tape around the part of your body you are measuring and leave it firm but not pulled tight, as this might make your measurements smaller than you would like in the finished fit. Try not to fudge here as it is important to get your fit correct and if you are annoyed by the number on the tape measure now is not the time to fix that number. When I take measurements, I have the tape measure on a piece of elastic. When I put it around the client, I ask “What do you want this measurement to be?” They would give me their fantasy number and we would laugh and then I would take the real measurements. Sometimes I would tell them what the real number was but more often those remained my secret. Ease in a sweater is the amount of room you will have past your body measurements. There are several choices of wearing ease with added design ease and the style of sweater will often let you know the amount of ease to use. Your own wardrobe will help you decide on the ease that is right for you. Measure a few of your sweaters and compare those measurements to your finished sweater pattern measurements. Remember, that when you’re making a sweater, you’re going to be putting a lot of time and care into knitting your garment and you want it to be just right. You will be spending time selecting the style of sweater, time selecting the yarn and time knitting the swatch so the gauge will be correct. You want to really enjoy the finished sweater so extra care here is important. It also layers satisfaction at each step so when you are finished it will be so much more satisfying when you wear your new knit. Knitting has been a popular trend for the future because of the new types of yarns and improvements in the tools used to knit. New patterns and designs are for those wanting to begin up through highly advanced. Whether a hand or a machine knitter there are many relaxing hours available to the person at every level of ability as a knitter and to the wearer of the completed jacket design. Knit garments have always been an necessary part of my clothing choices, so I really like weather which lets me to wear my favorite item of clothing. However, I do find during the season changes where air conditioning is turned up inside waiting rooms that sweaters remain an important part in my wardrobe almost year round. Since there are so many new types of knits, make a list of those that are favorites for your own wardrobe. See if you can find additional new ways to wear that same style of knit jacket. Review specialty magazines, watch for sweaters on your favorite TV programs, go to movies and just observe the people that are around you and how they are wearing their knit jackets. It will give you great ideas when you make time to knit with new creative ideas that can allow you to enjoy your favorite sweater style just knit in a slightly different way. There are many types of knitted garments. Sweaters, jackets, coats, shawls and capes are just a few. As a knitwear designer I see many unique garments but they do not fit on the person. 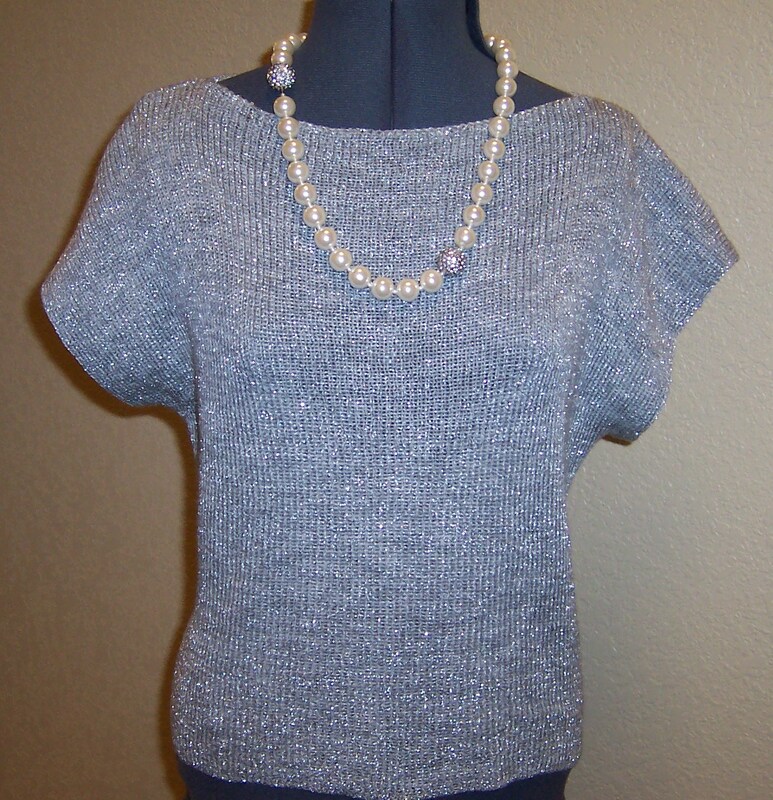 There are several things that need to be taken into consideration to achieve a finished knitted item that is properly fitting the person who will wear the item. You may want to explore the styles and lengths of the sweater designs you are considering to be sure they will look great on you. You can get proportion information for your length and accent details. Proportion tool available soon. Armed with this information, go through the steps below for amazing success with your new projects. 1. Before you begin you need to take accurate measurements. For help see the tools in the navigation bar that will assist you. 2. Determine the yarn you will use and the size needles or the machine tension that match the yarn. 3. Knit a swatch to get the feel of the yarn. For machine knitters I suggest a shawl so you will know your time has not been wasted as re-knitting when machine knits are unraveled changes the look and feel of the yarn so you do not want to use it in a new item. *NOTE: It is necessary that you put the swatch through all of the processes you will use to care for the final item. Wash and put through the dryer on the temperatures you will use or wash and lay flat to dry. Help with blocking knits. You may catch a major problem at this part of the process so be on the look out to see if your swatch size changes dramatically or stays close to the same. It may need something as easy as changing the wash water or dryer temperatures. 4. From the swatch, see how much the yarn might shrink. 5. Measure the pattern template you will be matching and cross check the measurements to be sure you will be right at the finished size you want before you go through all of the time of knitting the pieces. 6. With this information you can have more assurance that your finished knit will be worth your energy. You will need to click on read more to get to the live links in this post. 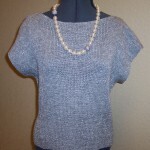 Visit here to get information about this fun and easy sweater. Many people have asked me to create a new series for the very beginners so I have done that to get you off to a smooth start. Hover over Passap in the navigation bar. You will see E 6000, Passap Vario and Basic Passap for Beginners. It will help those who have DM80’s as well. You will also see Individual videos for both the E 6000 and the Vario and Vario Trims. This information is not covered anywhere else and is my experience and is based on years of application and teaching of these tips. I know that it can assist you in making an easier start to knitting with this fabulous tool. I was determined to learn this system so persisted in trying everything I could find or get my hands on to learn it. If I had had this information when I started, it would have saved me hours of frustration, a lot of time and a lot of money. I am hoping that it will get you off to a much easier beginning. Many pleasurable hours can be spent on knitting projects. I seem to enjoy the cardigans, jackets and coats the most. In determining how to knit the items so the yarn is showcased and is the right weight for the project adds to the creativity for me. I’m launching my video series showing how to start from selecting the yarn, to knitting and on to finishing. Then when you wear one of these masterpieces you can have the most amazing satisfaction experience. I call it layering satisfaction. There is nothing quite like it in the enjoyment of each area. OK maybe not the assembly so much but even that has a level of completion that satisfies. If you are in the Atlanta, GA area you can take a class in person with me. Sweaters have always been an important part of my wardrobe, so I really enjoy weather which allows me to wear my favorite item of clothing. However, I do find during the summer where air conditioning is so cold inside buildings that sweaters continue to be an important staple in my wardrobe almost year round. Because there are so many different types of sweaters, make a list of those that are favorites for your personal wardrobe. See if you can find additional new ways to wear that same style of sweater. Review fashion magazines, watch for sweaters on your favorite TV shows, go shopping and just observe the people that are around you and how they are wearing their sweaters. It will give you great ideas when you begin to knit with variations that can allow you to enjoy your favorite sweater style just knit in a slightly different way. There are many types of knitted garments. Sweaters, jackets, coats, shawls and capes are just a few. As a knitwear designer I see many beautiful garments but they do not fit well. There are several things that need to be taken into consideration to achieve a finished knitted item that is properly fitting the person who will wear the item. 1. Before you begin you need a plan. 2. Select the yarn you will use and the size needles or the machine settings that match the yarn. 3. Knit a swatch to get the feel of the yarn. For machine knitters I suggest a scarf so you feel like your work has not been wasted as re knitting when machine knits are unravelled changes the look and feel of the yarn so you do not want to include it in the finished item. *NOTE: It is important that you put the swatch through all of the processes you will use to care for the final item. Wash and put through the dryer on the temperatures you will use or wash and lay flat to dry. You may catch a major problem at this part of the preparation so be on the watch to see if your swatch size changes dramatically or stays close to the same. It may require something as simple as changing the wash water or dryer temperatures. 4. From the swatch, see how much the yarn stretches. 5. Measure the pattern template you will be matching and cross reference the data to be sure you will be close to the finished size you want before you go through all of the work of knitting the pieces. Project Manual to save all of your information with 20 section dividers. Those pages can be colored to try out your color placement for any new design you might want to do. I am a knitwear designer who designs and knits by hand and machine. My garments are unique and fit beautifully. I design for girls and ladies from petite to plus size.